Workplace violence is defined as the threat of violence, harassment, intimidation or other threatening behavior against a worker or employee. CRS Notify can help you with workplace violence. Over 2 million American workers are subjected to workplace violence every year. It can occur on a business’s property, or it can happen off the businesses property. Workplace violence ranges from verbal abuse and threats all the way to physical harm and homicide. There were a total of 403 workplace homicides reported in the United States in 2014. Workplace violence is a growing concern for employers and employees alike. Workplace violence began officially being tracked by the FBI during the 1980s when there was a rash of post office shootings. These acts the FBI stated where murders or other violent actions by a disgruntled employee against coworkers or bosses. The first national incident of workplace violence was on August 20th, 1986 in Edmond, Oklahoma when a part-time mail carrier shot 14 people and injured another seven more before shooting himself. This is where the phrase “going postal” originated from. This is where the phrase “going postal” originated. This incident was the first one that gathered national media attention although there were three postal shootings prior to this one. Starting in 1990 OSHA began several state-level programs to track employees that were killed or injured in the workplace. From 1989 to 1997 workplace violence accounted for 29 deaths. David Burke was fired from his job at USAir in 1987. He then boarded a plane that his former boss was on and shot the two pilots after takeoff killing all 43 people on board including his boss. In 1988 Richard Wad Farley at ESL Corp entered his job through a side door and killed seven people with a shotgun upset at a co-worker, Laura Black, that was going to take a restraining order out on him. In 1989 Joseph Wesbecker who worked at a printing company injured 12 coworkers and killed eight before killing himself. Wesbecker had a history of mental illness. In 1990 James Pough shot and killed ten people and injured seven before turning the gun on himself at a GMAC office in Jacksonville, Florida. In 1993 Thomas MCILvane was fired at the Royal Oak Post Office. He then shot and killed five people. Before the Edmond Oklahoma incident, workplace violence was considered getting hurt on the job such as a taxi driver getting mugged in New York City. While the homicides generate all the headlines, the FBI believes that most workplace violence consists of assaults, stalking, threats and harassment. Because many victims don’t report these type of incidents, the data is hard to get. The FBI estimates that billions of dollars are lost in work time and wages from medical costs and reduced productivity due to these types of workplace violence. A study by the Department of Labor stated that 50% of businesses with more than 1,000 employees had experienced an incident of workplace violence. In another report, the Bureau of Labor Statistics reported that more than 1.7 million employees are victims of workplace assaults annually. The Federal Government has tasked OSHA with tracking and reducing workplace violence. OSHA has quite a few prevention programs to help stop workplace violence. You can find a list of those programs here. The Domestic Security Alliance Council has also put together a great resource list as well. You can view the list by clicking here. A new type of threat is becoming more frequent which is active shooters. Just three months into 2018 and there are already 17 school shootings. We are also continuing to hear of incidents of targeted shootings such as what happened at the Pulse Nightclub. The just in the last few months sexual harassment in the workplace has jumped to the top of the media’s attention which is best demonstrated by the “Weinstein Effect” and the “Me too” movement. Be sure to involve each level of the facility, such as the managers, employees, and executives and keep them informed about the new policy. Distribute the policy as full as possible and be sure to know that every employee understands it. Complaints can be handled well with a set of procedures that take care of them quickly and privately. Communication is a crucial factor in preventing workplace violence. Violent intruders thrive on silence from the victims and any witnesses. Encourage your team members to communicate by having regular team meetings. These meetings will help defuse tensions and misunderstandings while ultimately defusing any possibility of violence. 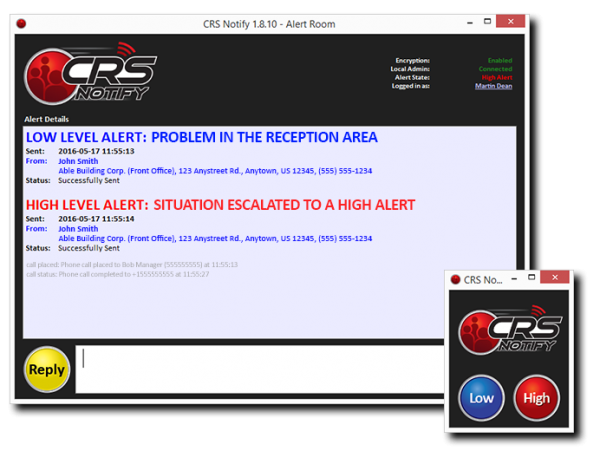 Add tools such as CRS Notify to help employees notify others when they feel uncomfortable or are in danger. Take the time to have training sessions and provide awareness of a violent intruder. Emergency Response Plans should be drawn up, and Emergency Response and Preparedness Training should be provided as well. Emergency Management Training will help to prevent workplace violence in the higher levels of your facility. Be sure to check that all employees are aware of your facility’s code of conduct. The “Zero-tolerance” code of conduct helps to show your company’s commitment to preventing a violent intruder. Help your teams to understand that the differences between each member are a vital factor in team strength. Activities can help the teams get to know each other and recognize individual’s strengths and weaknesses. Monitor your teams and how they work together. Some team situations can cause tensions, and if these tensions are not relieved, they can fester and grow into a negative workplace causing violence and harassment. Resolve these conflicts quickly as soon as they begin. Be sure to encourage each person to be open-minded to team members and give each of them an important role showing that their work is meaningful. Be fair and respectful to every member, explaining that when they treat you and everyone else with respect, they in return will be shown respect. Define these intolerable behaviors clearly and precisely and give clear examples. State your facility’s view of workplace violence and its commitment to a safe workplace. Ensure your employees of the confidentiality in which they can report incidents and assure each that no retaliation will be made against those that report acts of violence. Robbery is a significant factor in workplace violence. You can reduce the risk of workplace violence by keeping the amounts of the assets to a minimum. Also, the use of electronic payment systems and a locked drop safe can help reduce assets that are available. Hopefully taking some of the steps above will help your environment safe. We would love your feedback on additional steps that you think should be added to the list. 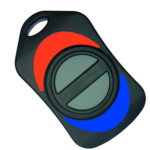 Online buzzer button CRS Notify was created in 2013 to help with incidents of workplace violence specifically. It is a low-cost piece of software that is provided to employees that are spread over small or large areas. This tool starts at just $18 per month and employees will have the ability to “say they need help” by just clicking a mouse, pressing a button or even pressing a wireless button. Once the alert goes out, it starts a chat conversation with everyone that is involved in the event. This allows the ability for them to request help immediately while keeping everyone aware of what is going on during the crisis. Alerts are sent out over computers, phones, email, and text. We even have the ability to integrate with 911. 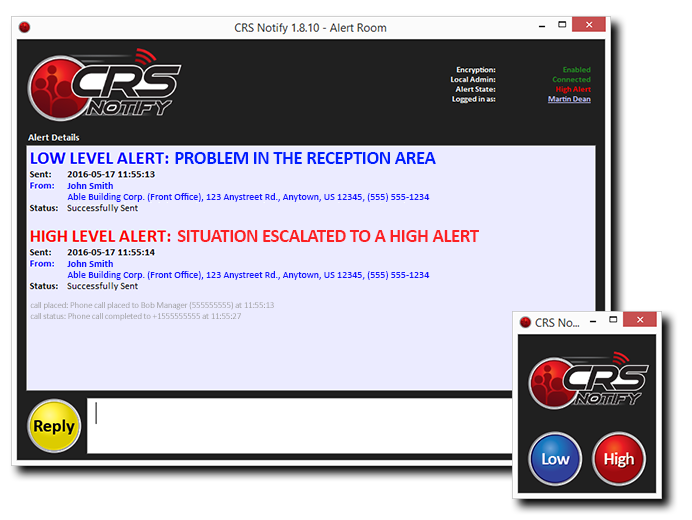 Contact us today to find out how CRS Notify can help your staff stay safe while you are at work.